The app is so great for learning the language, but I wish that the culture notes would be updated more! 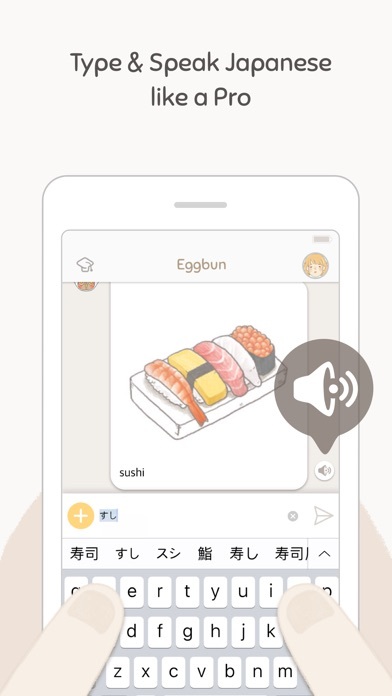 And I hope new lessons can/will be added because this is honestly the best app for Japanese language learning. I bought both the Japanese and Korean app, and I feel the Korean app gets a new culture note incredibly often so I just wish the Japanese app got more updates on those too! But other than that it’s great! 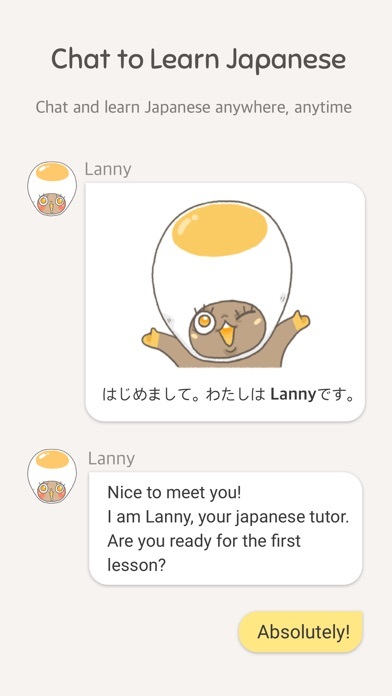 I am currently learning French and Japanese. 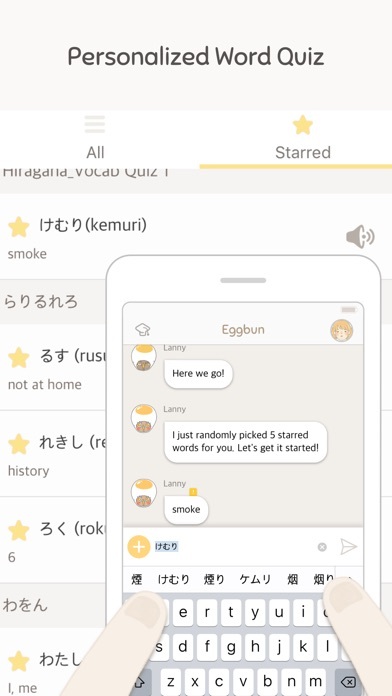 I felt that I wasn’t focusing on my Japanese enough, so I downloaded this app. I am terrible with technology and even I can use this app. The lessons are very easy to follow. 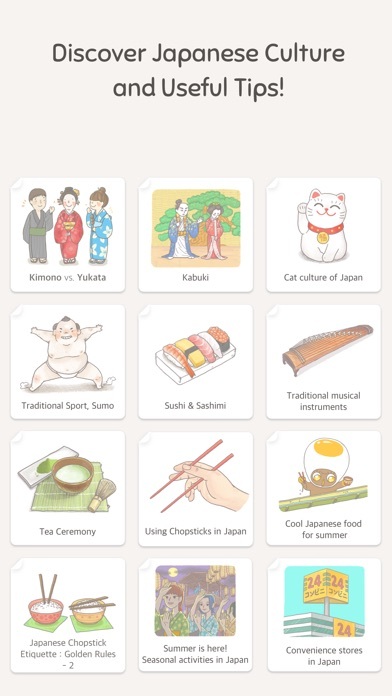 I also love that it includes a page where you are able to read about Japanese culture. 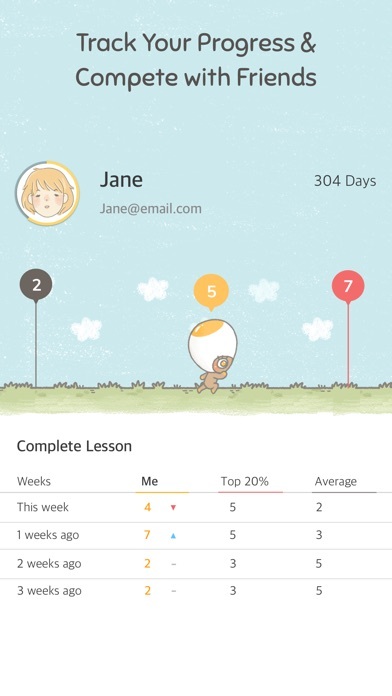 I wish that this company would make a similar app for other languages such as French, Italian, etc. The most annoying part so far is the chat bar popping up and down after every single response - that’s not how you text, so why does it happen here? Also, there seem to be some general bugs In the overall experience. The app said “if you want to continue your lesson you need to pay for premium”, I paid it, and then it stopped the lesson and said “thats okay, we’ll take you back to the free stuff” That basically seems to be my experience so far - I want to give it my money but some performance issues are making me nervous. Also - some noticeable English grammar errors are present. Which makes me nervous if what I’m being taught in Japanese is accurate or not. I paid for a year of this and I’ve hardly been able to use it. The app crashed a lot after I purchased a year so I didn’t complain since starting again wasn’t that tough. Now it won’t let me sign it at all. It says my sign in failed and it boots me out of the app. I’ve closed out the app and I’ve tried after countless updates. I’ve emailed customer service and tweeted them with no response. I feel like I wasted $40+ on nothing and I really want my money back. Ok how bout” NOT paying to continue I'm not hating or anything but I'm just saying why should you pay to learn Japanese seriously? It’s really simple and easy to use for beginners but I can’t use it anymore since the app just shows me the loading screen. Also I wish there would be like simple worksheets with sentences you have to translate or games that you could do. Great idea but doesn’t work. It says ALL my answers are wrong. It says type yu I type ゆ it says I’m wrong. I’ve checked with mitt Poe sources I’m not wrong. I’ll try again after the next update. I really like this app but it won't open after signing up. Learn hirigana while learning how to type is great concept.